FYPONÂ® is the world's leading manufacturer of decorative urethane millwork, and Amscot is a national reseller of FYPONÂ® products. 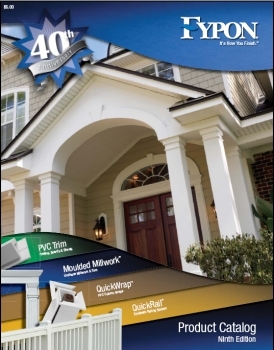 Click the links below to view and download the latest FYPONÂ® catalog. Adobe Reader software is required to view these files. Please note that some of these files are very large. A high speed internet connection is recommended. Contact us if you would like to receive a printed copies of the FYPONÂ® catalogs.